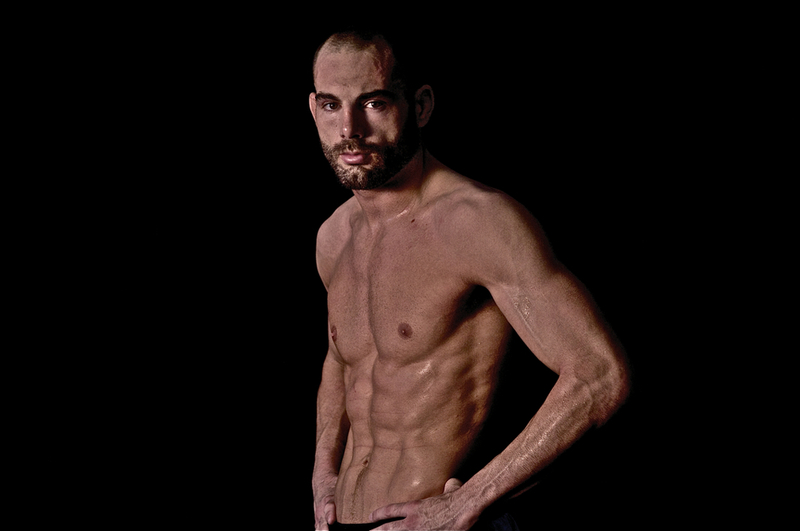 Mike Swick is a retired fighter that fought in UFC's middleweight division. Swick entered the UFC after appearing on the inaugural season of the Ultimate Fighter. Swick began his professional career in smaller shows, including early events of World Extreme Cagefighting (WEC). He amassed a record of 5–0 before challenging Chris Leben for the WEC Middleweight Championship. He lost the fight by knockout in the second round. After his first professional loss, Swick entered the first season of the Ultimate Fighter. Swick participated as a light heavyweight on Randy Couture's team. Chris Leben also participated as Swick's teammate. Leben insisted on talking about his victory over Swick, which irritated him. Swick's first fight in the show came during the semi-finals. He faced Stephan Bonnar, but was defeated by triangle armbar in the first round, eliminating him from the show. At The Ultimate Fighter 1 Finale, Swick defeated Alex Schoenauer by KO just 20 seconds into the first round, earning the nickname "Quick" from UFC announcer Mike Goldberg. Though he had lost the show, Swick signed a contract with the UFC. Swick lived up to his nickname with several quick stoppages in his subsequent fights. At UFC Ultimate Fight Night Swick stopped Gideon Ray by technical knockout in just 22 seconds. He followed up with two first-round guillotine choke submissions over Steve Vigneault and Joe Riggs at UFC 58 and UFC 60 respectively. At UFC 63 Swick faced former title challenger David Loiseau and earned a unanimous decision victory. He suffered ligament damage to his hand during the fight. Swick's first UFC defeat came at UFC 69, losing by unanimous decision to Japanese middleweight Yushin Okami. Swick dropped down to welterweight and headlined UFC Fight Night 12 against Josh Burkman, winning by majority decision. Swick next appeared at UFC 85 against Marcus Davis, who was riding a six-fight win streak in the UFC coming into the bout. Swick controlled the fight en route to a unanimous decision victory. He next faced Jonathan Goulet at UFC: Fight for the Troops. Swick opened up with a characteristically aggressive flurry of punches before the referee stopped the fight. Swick next faced Ben Saunders at UFC 99. Swick dropped Saunders with a clean straight right after landing a few punches, following up with a quick flurry to round off an impressive performance. Swick replaced an injured Dong Hyun Kim and faced Dan Hardy in November, 2009 at UFC 105. Swick lost the fight by unanimous decision. At UFC 109, Swick lost to Paulo Thiago via technical submission in the second round. Swick refused to tap to the choke rendering him unconscious. ISwick faced DaMarques Johnson in August, 2012 at UFC on FOX 4. He defeated Johnson via KO at 1:20 into the second round. The performance earned Swick Knockout of the Night honors. At August 28, 2012 it was announced that Swick has signed a new four fight contract with the UFC. In the second match since his return, Swick faced Matt Brown in December, 2012 at UFC on Fox 5. Swick lost the fight after being knocked out in the second round. Mike spent all of 2013 in Phuket Thailand, building his dream gym, AKA Thailand. The gym, one of the biggest in the world, hosts Thailand's largest indoor matted MMA/BJJ training facility. After two-and-a-half years away from active fighting, Swick returned from hiatus and faced Alex Garcia on July 11, 2015 at UFC 189. He lost the fight by unanimous decision. On July 16, 2015, Swick posted on his Facebook page that he was officially retiring from active MMA competition to focus on running his gym AKA Thailand.